You have certain expectations when you tune in to one of the Honest Trailers entries from the ScreenJunkies YouTube channel. You expect to hear about George Lucas’ shortcomings in a loving, but brutally forthright review of the original “Star Wars” movie. You expect to hear about how Marvel churns out superhero movies with an almost factory-style mentality. You might not expect to learn Honest Trailers, known for pulling no punches, has a soft spot in its heart for David Bowie. Bowie, the trend-setting musician and actor, died on January 10 from cancer. (Read CNET writer Steve Guttenberg’s tribute.) ScreenJunkies decided to pay homage with an Honest Trailer on “Labyrinth,” a 1986 fantasy movie from Muppets creator Jim Henson, Monty Python member Terry Jones and Star Wars creator George Lucas. “Get ready for the 1980s cult classic that we never thought we would make an Honest Trailer for, but decided to do so we could talk about how awesome David Bowie was,” intones the narrator with a classic film trailer voiceover. “Labyrinth” as a movie isn’t spared the Honest Trailers humorous brand of criticism. 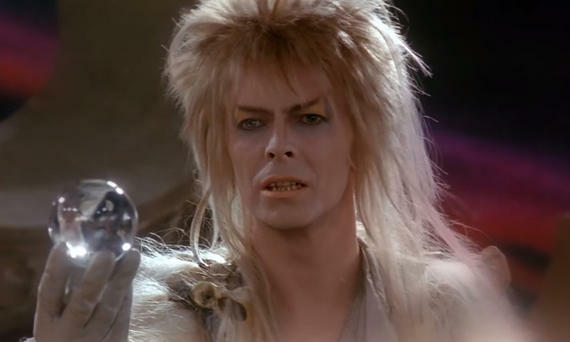 Called out are the “meandering plot and so-so acting,” but Bowie gets plenty of love for “stealing every scene he’s in.” Bowie plays Jareth, a compelling and charismatic goblin king who steals a human baby. He sets out a series of challenges for the young woman (Jennifer Connelly) who comes to rescue her baby brother from his fantasy realm. The trailer contains a mini-supercut of Bowie saying the word “baby,” which is as mesmerizing as the film’s inventive, Escher-inspired sets. The movie is lauded for being a creative tour of Henson’s mind, but dinged for a prevalence of fart jokes. The “Labyrinth” Honest Trailer will release a flood of nostalgia for ’80s kids whose minds were blown by the film’s visuals and Bowie’s magnetic performance. It may be far from a perfect movie, but it’s a perfect tribute to Bowie’s acting career.